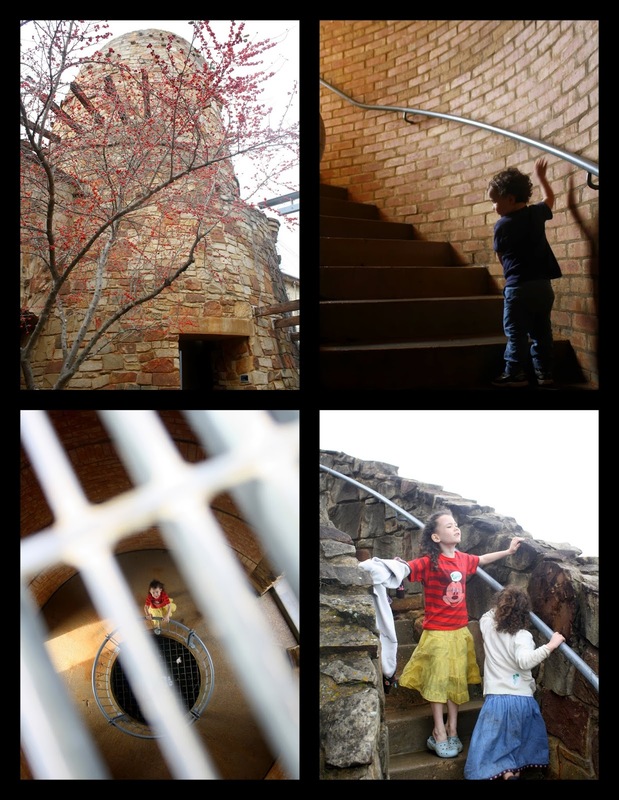 The Lady Bird Johnson Wildflower Center is a popular place to visit in the spring with all of the flowers in bloom and the extra programming for kids and adults. But what about in January when there isn’t much in the way of dramatic plant life? What can you expect your kids to see or do there then? 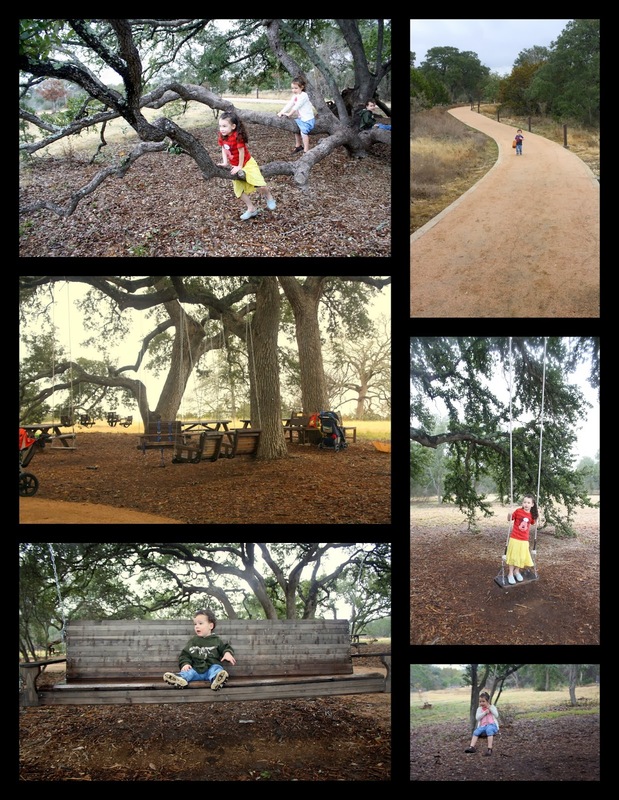 My kids and I visited the Wildflower Center one drizzly morning this week, and we decided it was definitely worth the trip. 1. The giant wind chimes on the way to the entrance. They sound like church bells, and they are placed low enough for children to reach. kids stayed busy looking for him. 4. The Little House. 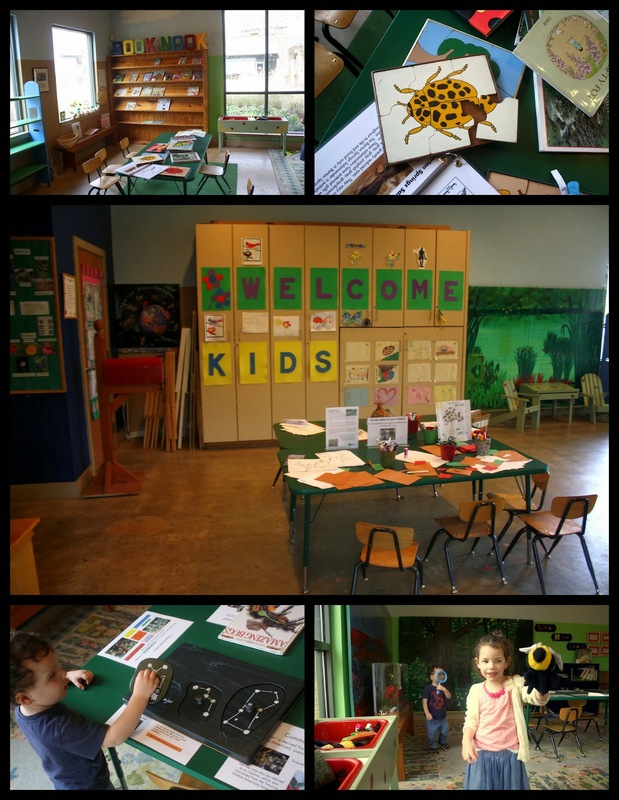 The children’s building is fun to visit no matter the season, with its cute little separate entrance for kids and the bright interior filled with nature crafts, puppets, books and puzzles. 5. The Tower. We walked the winding staircase to the top of the tower to see the view out over southwest Austin. There is a fun grate at the top where kids can look down and see people a level below. My kids took turns going to the different levels to wave up and down to each other. 6. The Visitor’s Gallery. The gallery has a nice collection of labeled plant specimens from what is currently in growing at the Wildflower Center. They also have a few interactive museum exhibits for older children. The osage oranges are cool! 7. The River. The man made stream that flows through the gardens was like a magnet to my children all morning. There are a couple of small bridges across the stream where we stopped to play “Poohsticks,” a game we picked up from the Winnie the Pooh books. To play “Poohsticks” each person picks up something small that floats from the ground (an acorn, small leaf, twig, etc.) and drops it into the river at the same time on one side of the bridge. Everyone hurries to the other side of the bridge to see whose item arrives first. refreshed from spending so much time outside. Note: The Wildflower Center is closed on Mondays. The grounds are open from 9 a.m. to 5 p.m. Tuesday through Saturday and from Noon to 5 p.m. on Sunday. Katey writes about more of her family’s adventures at havingfunathome.com.